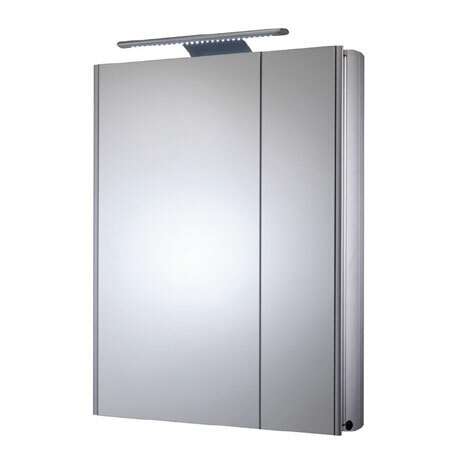 The perfect practical solution to small bathrooms, the Refine Slimline Mirror Cabinet with Electrics is space saving with it only being 100mm deep. Manufactured from curved anodised aluminium, this stylish cabinet features a sleek light fitting at the top incorporating 28 LEDs, double sided mirror doors, 6mm laminated safety mirror glass, 3 adjustable glass shelves, shaver socket and convenient removable base trays. Mirror cabinets provide a great alternative to a mirror when you need additional storage space.